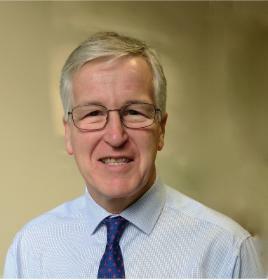 Chris is an Orthopaedic surgeon, working in hospitals in Liverpool and is the Director of the Liverpool Foot Centre. He is also a Partner in the Bone and Joint Centre a “one stop shop” for all types of orthopaedic conditions.Their main focus is to provide patients with the highest standards of treatment. They have learnt a great deal about what they believe are the best ways to look after patients ensuring each person gets the care they need. . He has over twenty years of experience as a consultant foot and ankle surgeon and treats everything from the broken ankles of sports players to removing bunions and re-aligning toes. He was the 2007-2008 President of the British Orthopaedic Foot and Ankle Society and regularly teaches on national and international courses for foot and ankle surgeons. Chris studied medicine at the University of Liverpool, qualifying as a doctor in 1981. He undertook seven years of his surgical training in London and completed this in Liverpool prior to taking up his NHS post as a consultant at the Royal Liverpool University Hospital in 1994. He lives on the Wirral with his wife and enjoys sailing, cycling and walking the dog. He specialises in surgery of the ankle and foot and traumatic conditions of the lower limb. Cathy manages the accounts of the Liverpool Foot Centre. She can be contacted by email at accounts@footcentre.co.uk.